Serkan Cengiz Law Office is a full service law and consultancy office which provides mainly legal, consultancy and translation services at every stage of legal disputes throughout Turkey. We provide our clients with legal services with a commitment which ensures that there is continuity in our service, and that our clients could benefit from our collective knowledge and experience. Our main philosophy is to assist our clients through the complexities of the Turkish legal system by providing an in-depth understanding for their concerns and priorities in order to reach the best and the most satisfactory settlements for our clients. Our sense of service to our clients is therefore unsurpassed. 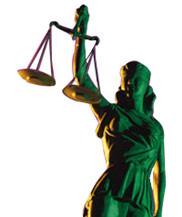 We every time ensure that our clients receive the best legal assistance and consultancy at every stage. We are very proud of our integrity where our commitment to our clients has ensured that our clients and our services are of the highest caliber.